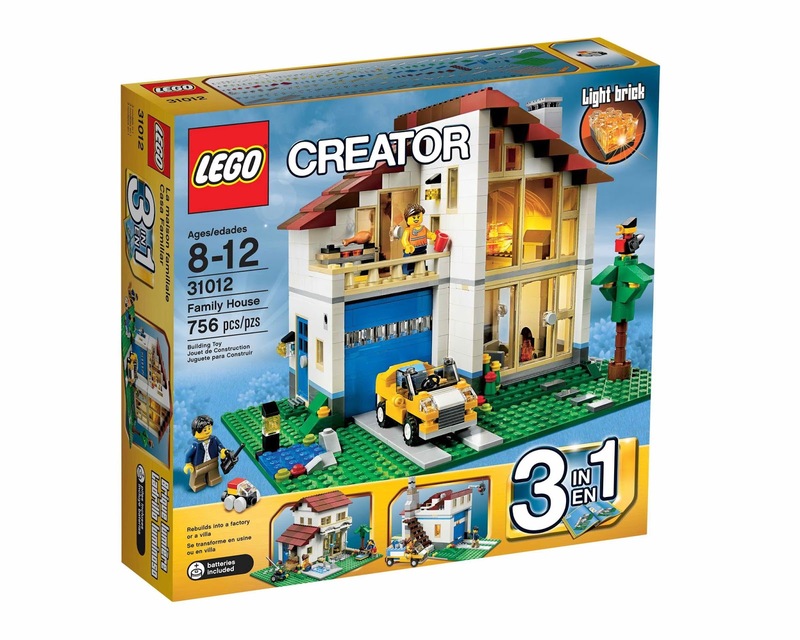 can be built into a family house, an industrial factory and a mediterranean villa. 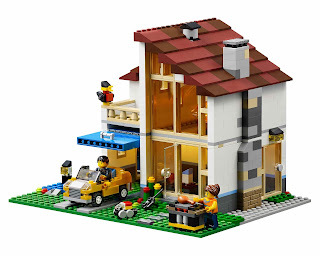 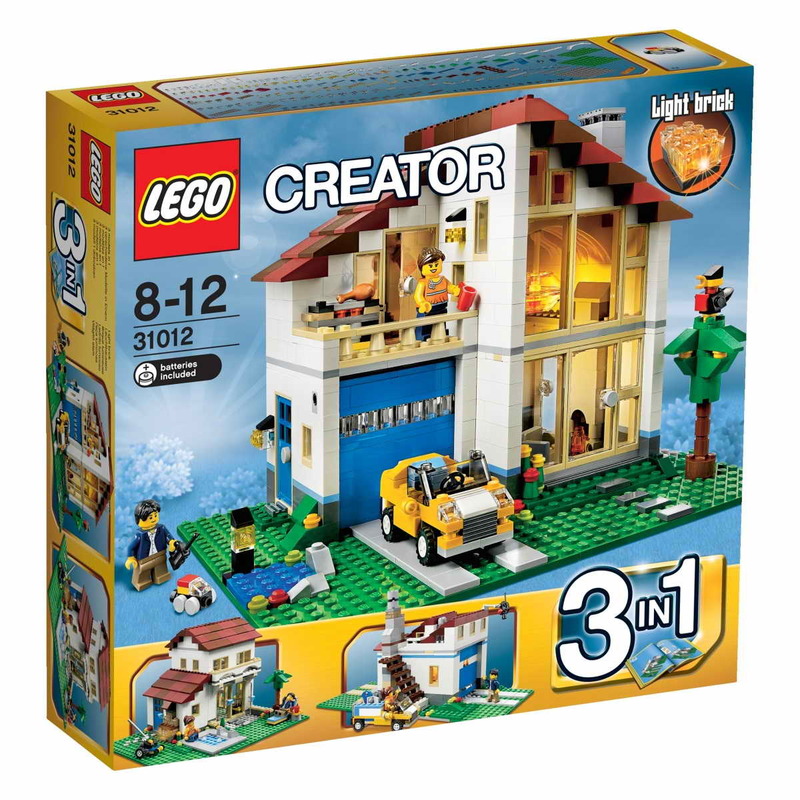 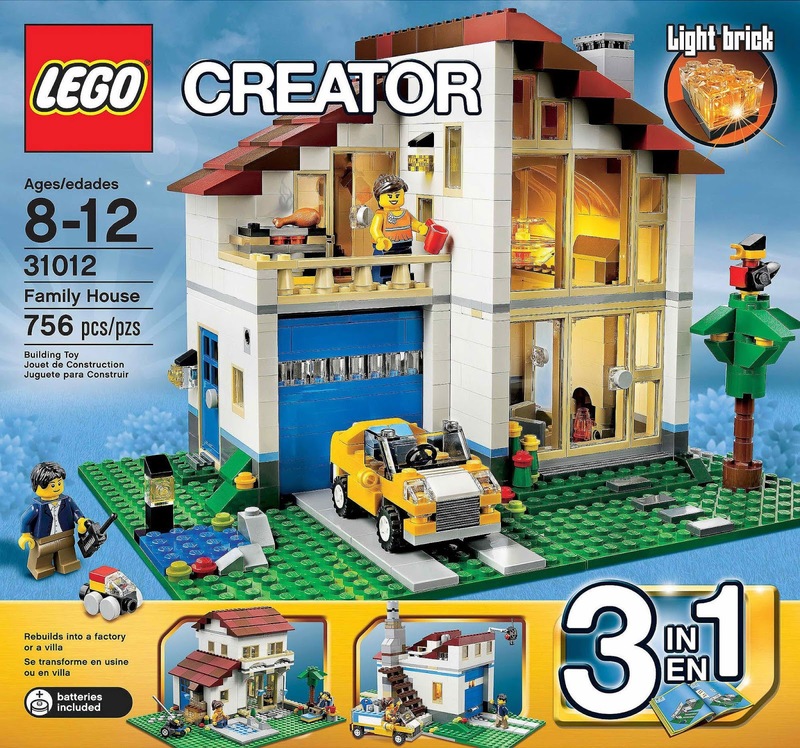 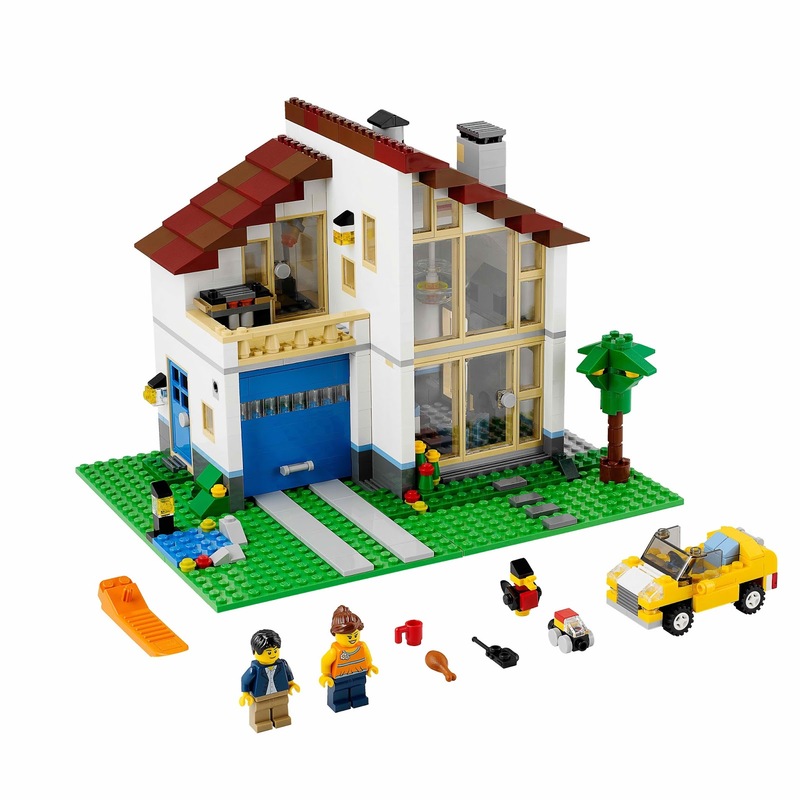 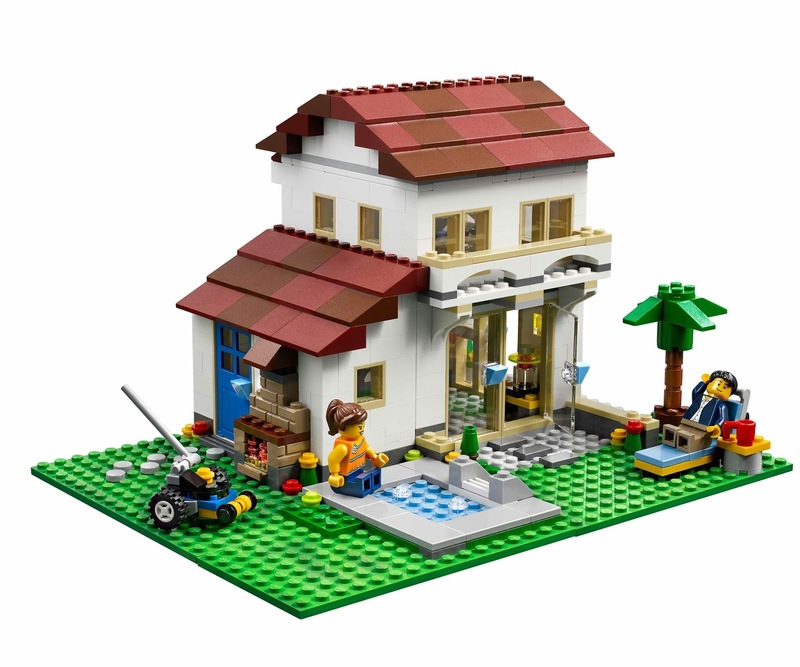 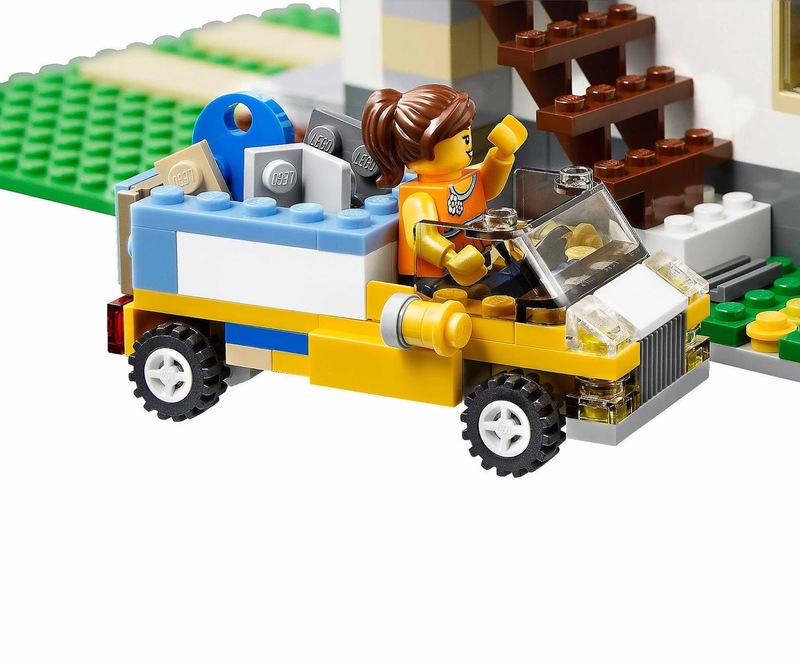 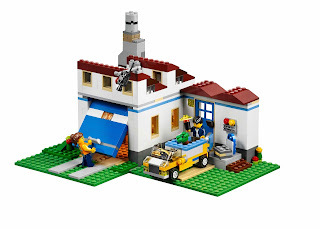 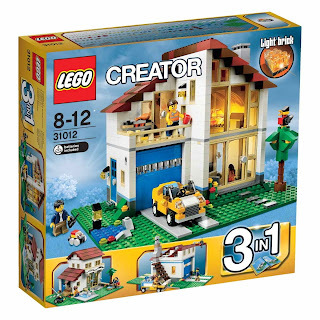 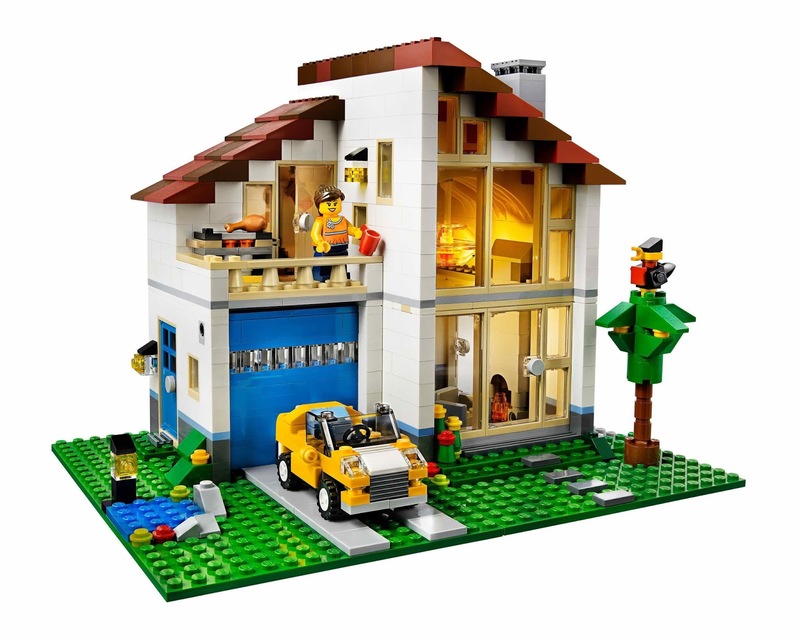 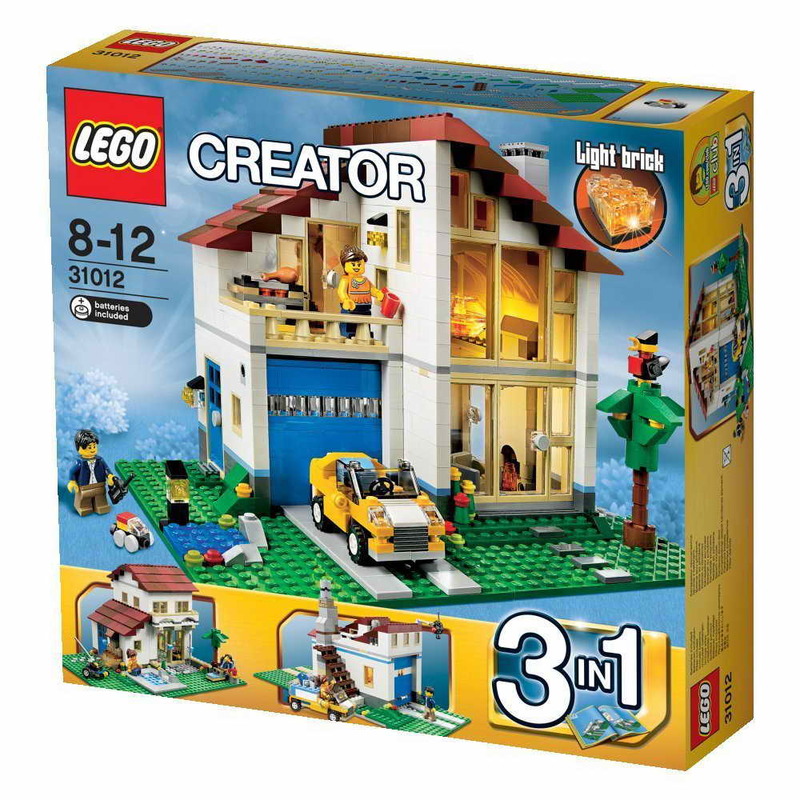 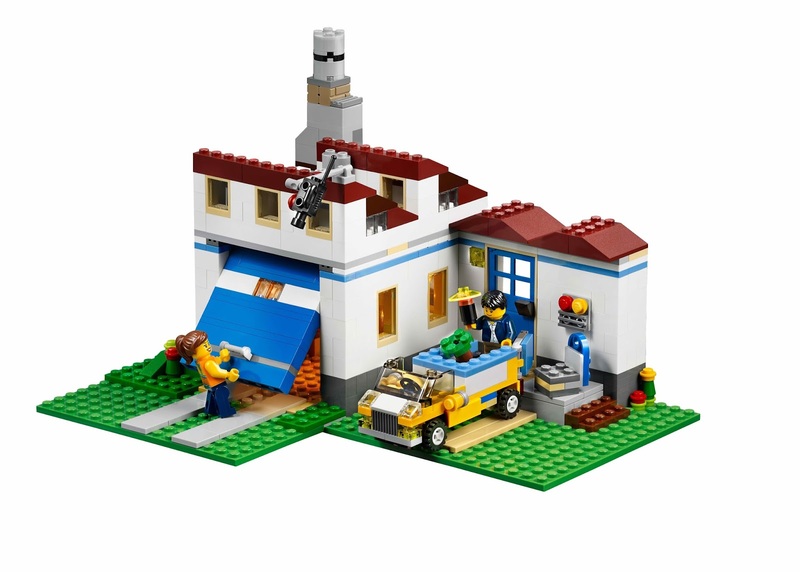 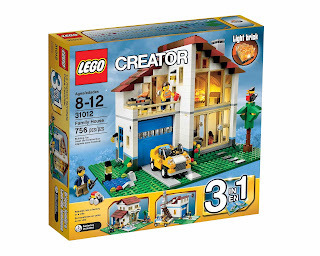 the house has glass windows, a LEGO light brick hanging lamp, a garage with an openable door, a small pond, a tree, a yellow car, a bed, a table and an armchair. the factory has an openable port, a delivery van and a surveillance camera. 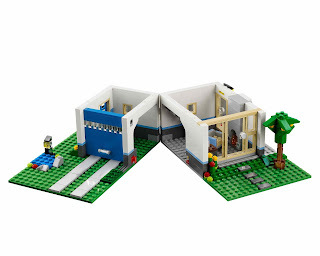 the villa has a swimming pool and double patio doors. the house can be opened to reveal the interior.